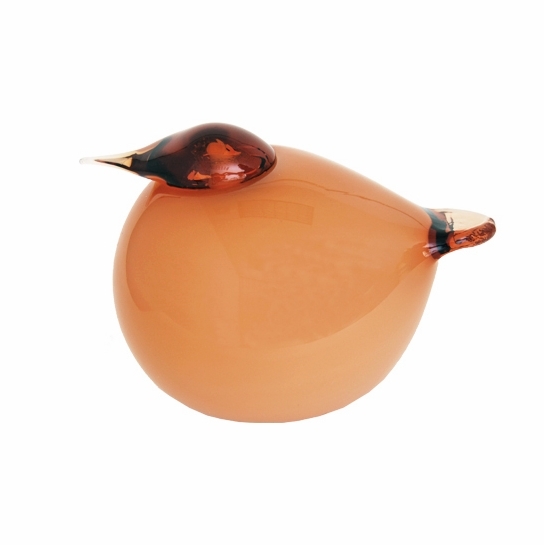 More about iittala Toikka Kuulas Orange The older sister of the popular Puffball birds, the Orange Kuulas is slightly larger but still retains the endearing plump body that iittala fans adore. Blown from creamsicle-colored glass, its paddle shaped tail and teardrop head are made from clear glass to provide contrast against the body. Finnish for "transparent", the Kuulas bird uses a simplistic color palette to allow the bird's adorable form to take center stage.